Tristan Smith ’18 has been selected to be a recipient of the 2017-2018 Röpke-Wojtyla Fellowship. The fellowship program is designed to educate future Catholic intellectuals and business leaders in the moral and economic defense of the free enterprise system and in Catholic social thought. 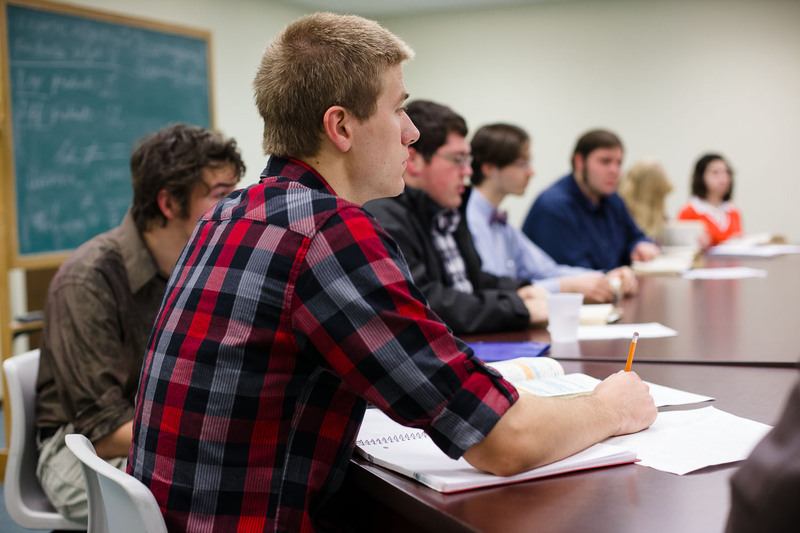 The Röpke-Wojtyła Fellowships are awarded to outstanding undergraduate students majoring in a variety of fields including accounting, business, computer science, economics, finance, philosophy, political science, and theology. Smith discovered the fellowship through the college’s Career Pathways Program, under the leadership of Zach Goodier. As part of the fellowship, Smith will participate in three, one-day colloquia in Washington, D.C., throughout his senior year. Smith will also participate in the Acton University program in Grand Rapids, MI in June, 2018.